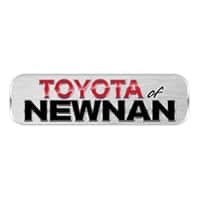 Here at Toyota of Newnan, we believe in long-term relationships, and that’s why we’re proud to offer our Lifetime Limited Powertrain Warranty for all our vehicles, new and used. If you’re active or retired military or an upcoming or recent college grad, check out our rebates that honor your service and achievement. One of the vehicles you may want to consider before your next visit is the 2018 Toyota Tacoma. If you’re seeking an adventure-ready midsize pickup truck, you’ll want to test drive this model at our Toyota dealership near Fayetteville, GA. In terms of power, the 2018 Toyota Tacoma gives you a choice between two engines, two transmissions, and two drivetrains. The base engine is a 2.7-liter, four-cylinder engine that produces 159 horsepower and 180 lb.-ft. of torque. The larger 3.5-liter V6 engine, available in upper trims, puts out 278 horsepower and 265 lb.-ft. of torque. Both are mated to a newly available six-speed manual or a six-speed automatic transmission. The Toyota Tacoma is available in six different trim levels, all of which strengthen this vehicle’s reputation as a tough off-roader. 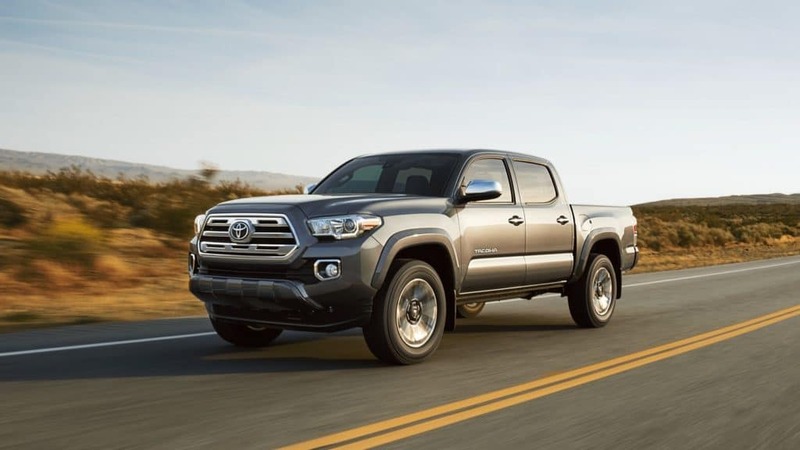 The Toyota Tacoma SR, Toyota Tacoma SR5, and Toyota Tacoma Limited trims have a standard, road-oriented setup that should be comfortable for most drivers. The Toyota Tacoma TRD Sport trim give you a stiffer suspension. The TRD Off-Road trim level offers more wheel articulation and off-road control. Learn about all the utility and off-roading options by speaking with your local Newnan, GA, Toyota dealers. The Toyota Tacoma earned top scores from the IIHS and there are several notable safety additions for the new year. Automatic emergency braking, adaptive cruise control, lane-departure warnings, and automatic high beams are all now standard for 2018 models. All Toyota Tacoma trim levels also include a standard rearview camera as well as traction and stability control. Toyota’s Entune™ infotainment interface featuring a 6.1-inch touchscreen is also included with all trim levels, as is Bluetooth® connectivity and a USB port. Advanced trim levels offer such amenities as leather seats and steering wheel, larger wheels and more rugged tires, a beefed-up suspension, and skid plates, and an upgraded audio system and a larger touchscreen. Are you interested in purchasing the 2018 Toyota Tacoma? Stop by our Toyota dealership serving LaGrange and Atlanta, and we’ll set up a test drive and answer any questions you have about this rugged and capable pickup truck or any of the other new Toyota models on our lot.